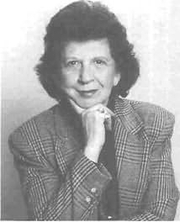 Bette Evensky Greene was raised in a small town in Arkansas near Memphis, TN. Her parents owned a store called Evensky's Dry Goods. Theirs was the only Jewish family in town; and her books typically have themes of alienation or unjust treatment. According to Greene, she became a professional writer at age 9 when she sold a news story about a barn fire to the Memphis Commercial Appeal. She married Donald Greene, a Boston doctor, in 1959, and has two children. Bette Greene is currently considered a "single author." If one or more works are by a distinct, homonymous authors, go ahead and split the author. Bette Greene is composed of 6 names. You can examine and separate out names.